Spent over one hour at the Chilean border to check out of the country – long line of people. 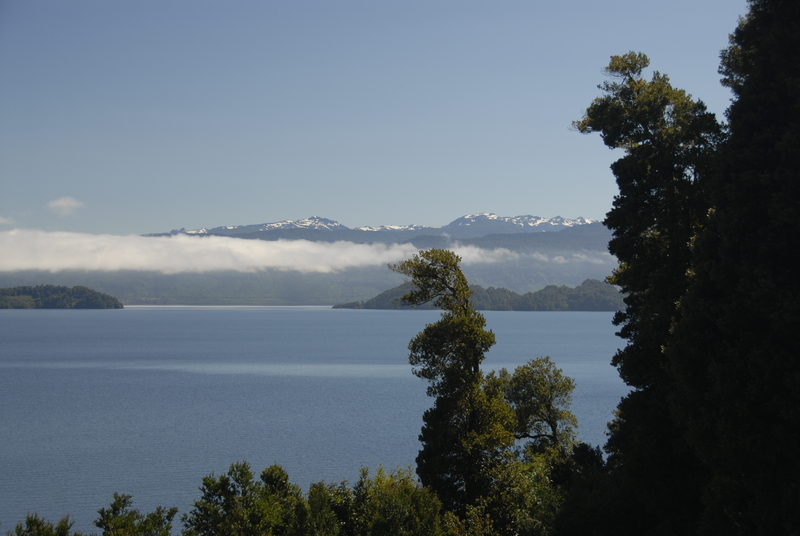 Beautiful ride – lakes, mountains with snow on top, twisty road with many trees. Upon arrival to Bariloche, we had some wonderful chocolate at a place called Mamuschka (Russian name, by the way). Our hotel is located on the water front with a beautiful view of the lake and mountains with snow hats.